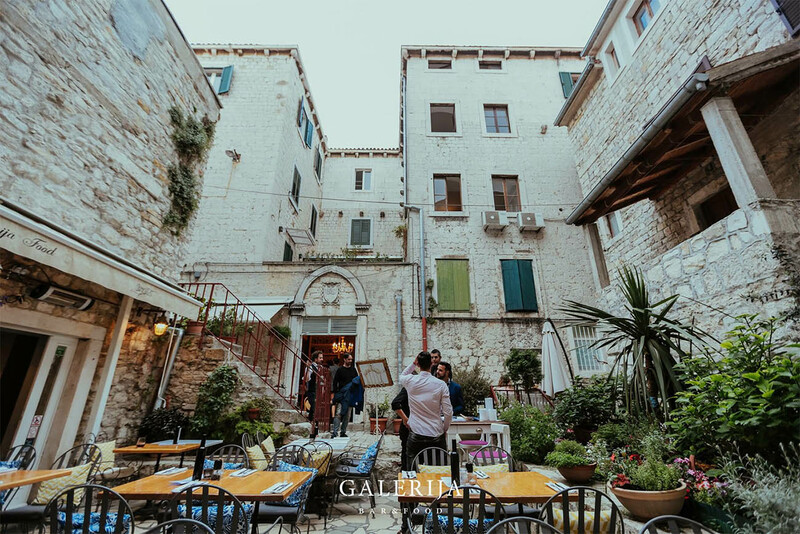 After your Blue Cave tour, enjoy in a delicious dinner in one of the most famous restaurants in a Split Old Town: Galerija Food Bar. 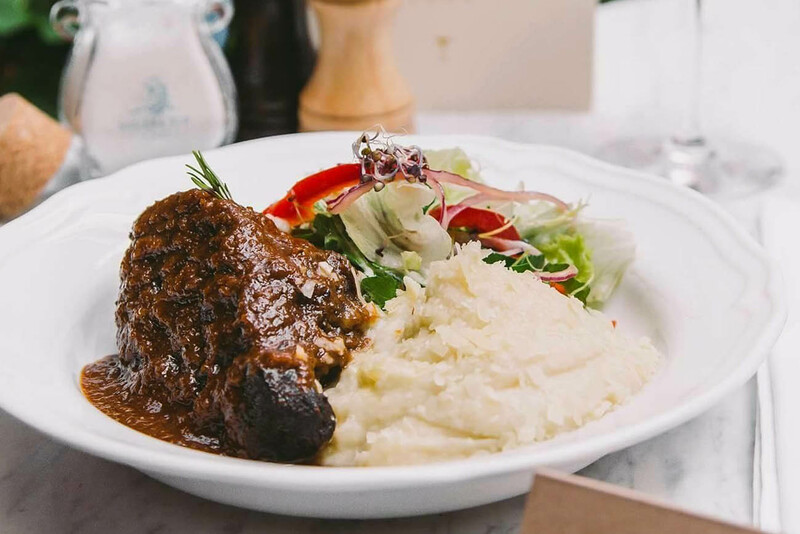 It is a restaurant with old Dalmatian dishes located in the heart of the Diocletian’s Palace. Food is never prepared before and it won’t stand for hours waiting for its guest. So, you will also have a fresh meal! Enjoy in the most popular day trip with dinner in the most popular restaurant! All meals are prepared with eco certificated ingredients. 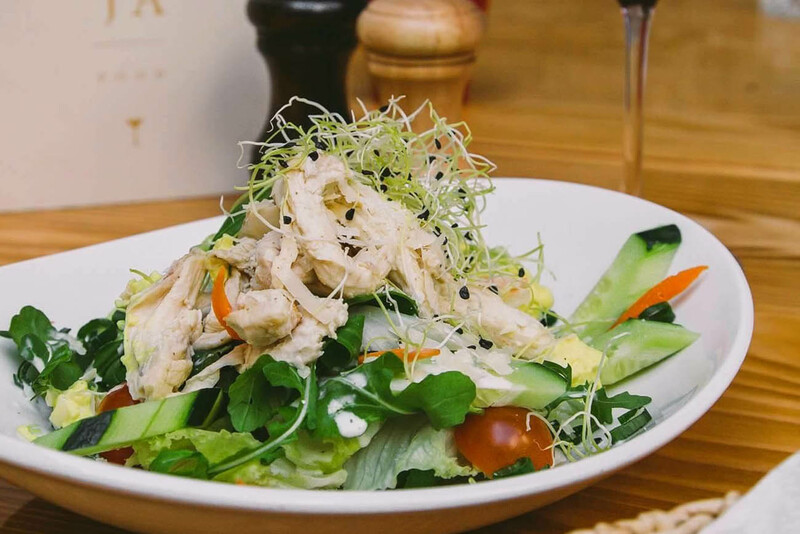 The offer is specific: traditional Dalmatian dishes of fresh, seasonal and local vegetables. Vegetarian offer is also rich and it is based on seitan and tofu. All ingredients are purchased from well-known and trusted manufacturers. Seasonal fruits and vegetables are bought directly from a small farm nearby Split, whose owner every morning delivers what he had just picked up in his garden. Supplies are bought in small quantities and prepared only when the guest orders. Book the Blue Cave tour from Split now! If you want to join us and visit must see place in Croatia, this is a tour for you. You will visit amazing locations, both the popular and more unknown places, all of them amazing! Blue Cave is located on island of Biševo. It attracts attention from all around the world thanks to its unique features. 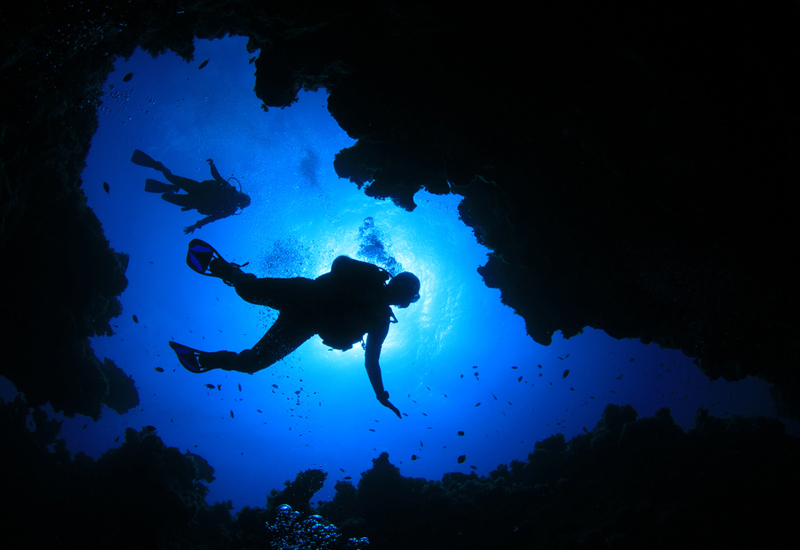 Blue Cave has two openings that crate magnificent blue color. Smaller entrance is the one through boas enter. Bigger one is below the sea level through which sunlight penetrates. Just look at the photos and you will understand why this is one of top sights in Croatia! Our tour will start by embarking a luxury speed boat in Split harbor where our skipper will wait for us. We will set sail towards island of Biševo. (There is one thing about our boat we would like to point out. As you are on our boats close to the sea surface, which is completely different then when you are on a big ship, you will not for a second feel seasick.) Entrance tickets for the Blue Cave are included in the price. Once we reach island of Biševo, we will head to one of its many beautiful caves. Yes, it is Blue Cave. When you spot an entrance, you will see small entrance to the cave, so small you will have to duck down to enter the cave. Once there you will be amazed. You will see a cave illumined in most beautiful shade of blue. You will see how sunlight penetrates through an opening below sea level. Snorkeling is allowed in the cave and we will have snorkeling equipment if you are up for it. As we said earlier, we will visit another beautiful place to visit: Pakleni islands. 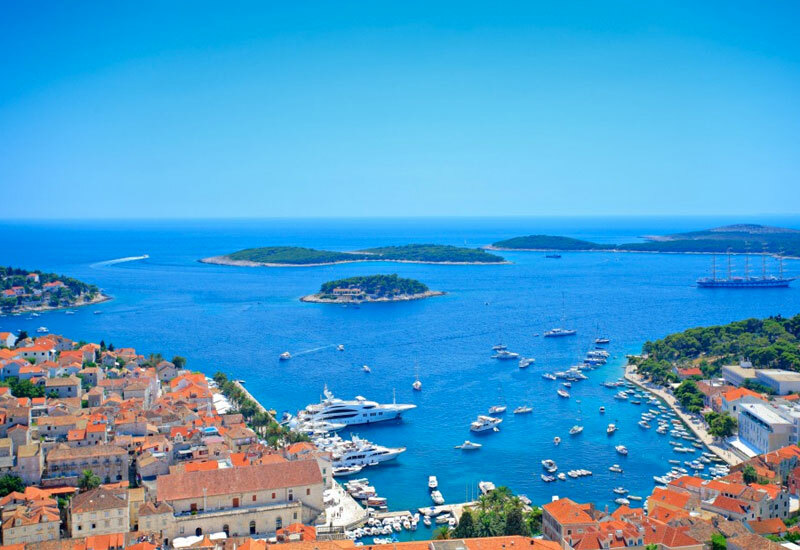 Panoramic tour of the islands will include the following: main island of Sveti Klement or Veliki otok (Big island), Jerolim, Pokonji Dol, Marinkovac, Gališnik, Stambedar, Vodnjak Veliki and Vodnjak Mali. Pakleni islands are famous for untouchable nature, blue sky and blue sea. This part of Croatia is really like a heaven on the earth. Pakleni islands are definitely worth checking out and that’s why we included them in this tour. Although you might think tour is quite exhausting since there are many places to visit, you will see tour is actually well balanced. In the end, we will head back to Split and disembark at famous Split’s Riva. It is waterfront where the most locals stop for a coffee or just take a relaxing stroll. Right next to Split’s Riva is Diocletian’s Palace and that is where your dinner waits. Thank you for the time spent with us and we hope this is one of the unforgettable moments of your holiday in Croatia! We hope to see you again! 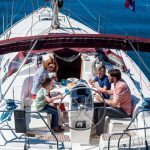 PRICE INCLUDES: Luxury Speed Boat ride, skipper, entrance tickets for the Blue Cave, safety gear, wind jackets, insurance, snorkeling equipment, bottled water and a delicious dinner in one of the most famous restaurants in a Split Old Town: Galerija Food Bar. 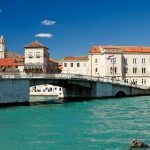 PRICE INCLUDES: Luxury Speed Boat ride, skipper, entrance tickets for the Blue Cave, safety gear, wind jackets, insurance, snorkeling equipment and bottled water and a delicious dinner in one of the most famous restaurants in a Splt Old Town: Galerija Food Bar.